Hey Friends! Welcome back to the blog! Cold and flu season is in full force and we want to make sure you’re feeling your best! 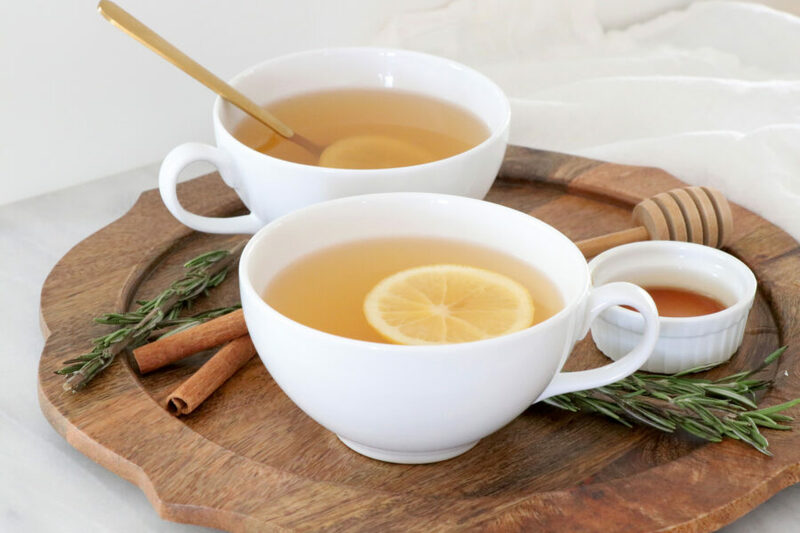 Today we are sharing with you a Citrus Cold Cure drink that may help ease some of those not so fun cold symptoms! Slice and remove seeds from pepper. Peel and cut ginger into slices. Cut lemon into slices. In a medium saucepan over medium-high heat, add filtered water, ginger root, rosemary, cinnamon sticks, lemon and pepper. 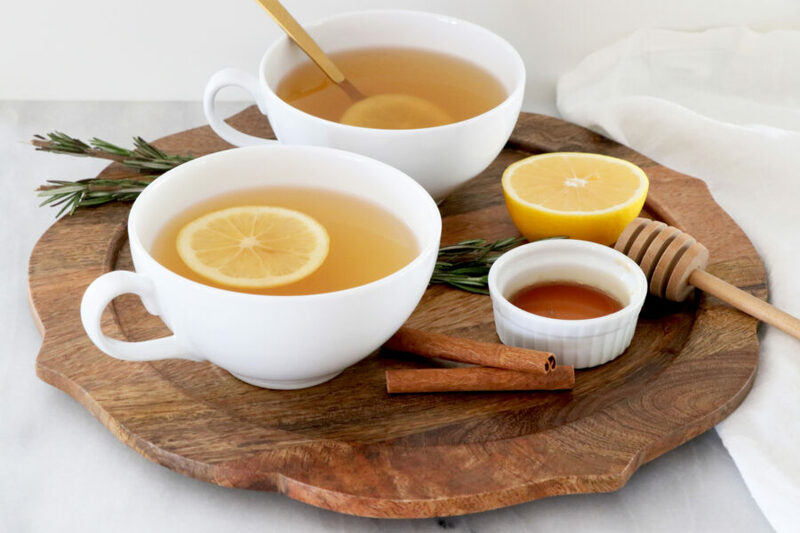 Add 1 tablespoon of honey to the bottom of two separate mugs and pour steeped water into each mug. Stir to mix in honey and enjoy.